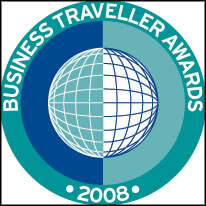 Welcome to the results of the Business Traveller Awards 2008. Once again you, our readers in the UK, voted to reward those companies whose products and services you really value as regular business travellers. This year’s awards were presented by former England cricket captain David Gower, at a star-studded ceremony at the London Hilton on Park Lane. For the first time at the UK Awards, Singapore Airlines, launch customer of the A380 superjumbo, has won more awards than any other airline, picking up Best Economy Class, Best First Class, Best Cabin Staff, Best Asian Airline and Best Long Haul Airline. Winner of best Short Haul Airline and Best Business Class is British Airways, which also won Best Frequent Flyer Programme for its Executive Club. Virgin Atlantic continued its dominance in the Best Premium Economy category, winning once again this year. In the hotel categories, Sheraton won Best Business Hotel Chain Worldwide, while Hilton walked away with Best Business Hotel Chain in the UK and Continental Europe, and Marriott triumphed in the North America category. Shangri-La Singapore was voted Best Business Hotel Worldwide, and Regal Airport Hotel Hong Kong walked away with Best Airport Hotel. Singapore Changi Airport won Best Airport for an amazing 21st year in a row, while in the car rental categories Avis was voted Best Car Rental Company Worldwide and in Europe. Our awards are completely independent, and as such are widely recognised as the leading accolades in the business-travel industry. There is no pre-selection by anyone at the magazine, and all the data you provide is analysed by a market-research company to produce a final list of winners. We are grateful for the support of our sponsors, RADIUS and Global Hotel Alliance as well as Gatwick Express. Below is a full rundown of this year’s results. To view images of the winners in each category, click on the appropriate links below.